superdumb supervillain: I'm Fonda del Sol, are you? I'm Fonda del Sol, are you? her comment... I covet the Pale Blue Botanicals. Having said this, I will also say that the one being given away to some lucky reader, is quite lovely! We've definitely enjoyed the Flor in our den. It's been a great surface for Jasper to learn to crawl. It's easy to clean, even if your four year old spills an entire bowl of cereal and milk on it. Not that Roo would do that, of course. It's pretty and colorful. To enter and win the gorgeous Mandarina six-tile area rug (a $160 value! ), please comment on this post with your favorite Flor style. Entries will be accepted through July 16th and I'll pick the winner using Random.org. US readers are eligible. Only one entry/comment per person, please. Oh these are the COOLEST things!!!! Something like this would work great in our dining room or kitchen. I LOVE IT!!!!! Although I have a few favorites I think I'd say "Jigs Up" in green would be my favorite. Thank you for this AWESOME prize giveaway!!! The pequeno is my favorite style. Can brighten up any room! Wow, it's so hard to choose just one. I love the Jigs Up line, bu I think the pink style is my fav! Very cute with pretty and soft colors. I love the Souk Chic in Blue! Wow, that was hard to choose. There are so many. Jigs up would be cute for the kids room. I like the Classic Quilt rug in Cream. Thanks! I love square dance in blue and brown. Gorgeous. I adore the "souk chic" style in multi, and the one up for grabs! Disney Princess for my daughters' bedroom. I like the crazy daisy for my daughter. Great giveaway, thanks! I love the Flor designs. There are so many that are favorites of mine. It is so hard to pick just one. I am partial to the floral patterns and also like the bright and cheery colors...always great for warming up any room in a home. Jigs Up would be great for a playroom. I like the Toy Poodle design. The Botanicals in Moss would look perfect in my office! Just fantastic! My fave style is between the lines in red would look perfect in our family room. Bijou Pale Blue. It would be perfect for our playroom. I just love their products but especially the Disney Pixar Cars! the On The Lamb™ Almond would be great for our family room! I love the Taupe Botannical! the Tapete in turquoise does it for me, so pretty, it looks like the floor tiles in my brother in law's house in Guatemala. For awhile I've had my eyes on Twiggy in Red. Love it! I really like "On the Lamb" for mommy and Disney Cars for my sons room! Evening, Their flooring is gorgeous! I love the Classic Quilt in Cream. Nice area rug. I love it. I love the Jigs Up pattern in blue. I'm in the process of starting a business and that rug would go perfectly with the décor. But, I also think that the Mandarina rug is beautiful and stunning...a real attention getter. Great giveaway! I like "She Loves Me Too" just because those daisies are so fun! The Flor tiles that you are giving away would go perfect in our basement playroom that we are tying to create! I've been eying Flor tiles for a while now. flor is such a neat concept. i'm totally thinking this would rock my office...and calvin's room! too many neat designs to pick just one. but, since i'm a huge fan of orange: toy poodle fifi orange would be so vibrantly fun. i'd really love to win the mandrina, though...that and the pequerino are just so lively. i love lively! I love the Ribbed Stripe by Martha Stewart. All are pretty. How gorgeous!! I love the Morning Coffee one!! That would be perfect in my breakfast nook. We are making an office where our carport used to be and the Working Class texture would be perfect there. I couldn't believe all the textures, all the colors, all the selections available in the various categories. My favorite flor style is the fuzzy button. how cheery and unique! 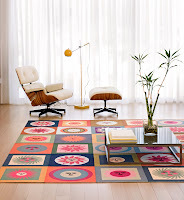 These Flor rugs are gorgeous! I like the Disney Classic Pooh, those are such lovely, restful shades of green! I love the amazing lace in dusty pink! JIGS UP is very unique, I like it. I would have to say If There Be Thorns in Rose. My favorite style other than the Alexander Girard La Fonda Del Sol Collection (which is my overall favorite) is the Disney Collection. The Cras one is great. I love the bright colors and patterns from FLOR. For my place, I'd pick Terra in Furrows as my favorite. Souk Chic works for me. Should I start rearranging the furniture? I am trying to convince my husband to get the crazy daisy in pink for my daughter's room. I get a catalog from this company and spend hours looking through it. oh how we could use a rug for our living room area! The Striped Poodle pattern is my favorite! I think Spice from the organic collection is great! My favorite would be the Mandarina rug being offered. Such bright colors. It would brighten any room in minutes. The Mandarina rug makes me happy to look at it. A close second favorite would be the Organic Overlay. I love all of the designs, epsecially the Lane Change Stripe and Organic Overlay, and the pattern for the giveaway is fantastic! Hope I win!! These rugs are awesome! What a great concept. WE are getting ready to move and I would love to have a new, trendy rug for our living room. I like the wide wale in tan, but would be happy to own any color/pattern of this rug. Thanks for the great giveaway! pequeno is my fave!!!! Love the colors!!! I think I like If There Be Thorns in blue the best! I like the Lane Change Stripes and the Fuzzy Buttons (hmmm...cocktails, anyone?). I also like "tonal vision"
Who wouldn't love my favorite La Fonda del Sol - Mandarina ...it is soul...thanks for the contest! Flor coverings rock! i am filled with longing for this rug.. the flor pequeno is my favorite, i think, but i would just do flips if i won this thing! oh, how gorgeous! my other favorite (besides this beauty! 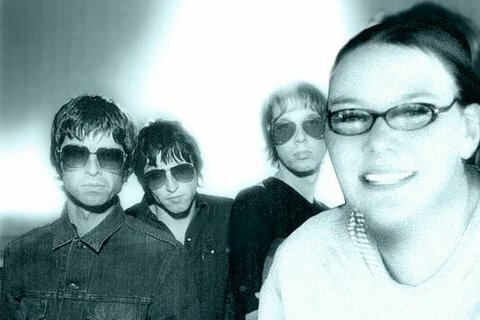 )is the martha stewart tonal quartet. what an awesome giveaway! thank you! It is so bright and cheery..Gorgeous!! I love the Mandering. The colors are perfect. La Fonda del Sol - Pequeno - the smaller print is the one I like most. I would use this in my kids rooms or my living room! I like the Lacy one. I like La Fonda del Sol, Azul. This pattern is so colorful and fun. I absolutely love the Amazing Lace in Dusty Pink. It would go well with the decor in every room in my apartment. This is sooooo me! I like the crazy daisy and also the jigs up patterns. these would be great for my kids. My absolute favorite rug pattern is "Jigs-Up." I think I will order the pink one for my daughter's room. Not only will it cover some area and add color, it will be a constant entertainment and learning tool for her. They are are very beautiful!! I love between the lines in red! It would look great anywhere in my house. I was just talking about Flor the other day with my husband! I love the lane change stripe. These would be so great for our house with all the wood flooring... not exactly friendly on a baby's knees! Love the design you're giving away, but yeah, I'm a "La Fonda del Sol" girl too! I like Thick and Thin. They are all gorgeous. I really like the La Fonda del Sol Azul and I also like the botanicals and organic overlay. i love flor! it's the greatest. i would love it for any of my rooms! i dig mad plaider...thanks, now you have me yearning for FLORS! Great contest. I really like the Tapletta in turqouise. I love the Morning Coffee texture in the organic blend color. There variety and styles are fabulous! I love the Tapete Pattern. It would look perfect in my upstairs hallway. These are beautiful!! Thanks! I luv the Amazing Lace pattern, but they're all great. Pick me please! Many thx! Great --I love the quilt design. I like the Flor Botanicals in moss--this would look great in my living room! I love the mandarina style rug. Crazy Daisy or Disney Princesses for my daughter's room. Thanks so much for the opportunity. I love Toy poodle-- great colors! I love the Twiggy in Moss....fun! I like the Classic Quilt in cream the best. The are all beautiful. I love the Disney Princess design - that would be perfect for a little girl's room. i love these! i think striped poodle in the brass/brown/marine is my current favorite. it's hard to choose, though! I love that Mandarina rug I searched through the site and I love the red clouds also these rugs are works of art for the floor..how beautiful. Thanks for this giveaway. My favorite is the Square Dance. THanks so much and please enter me. My favorite is Jigs Up in Blue - would look great in my son's room! I am partial to parquet, but this rug is really something. I love Jigs Up. So cute to put in a hobby room. i recently found out about these flor area rugs. i love the fact that they are in squares and you can "build your own". a very unique concept. i have been thinking about getting one later on down the road. of course, i would love to win one. striped poodle is my fav!! I like so many! "Between the Lines" is one of my favorite! I'd say "Jigs Up" in green would be my favorite. Wow! I was completely unaware of your product/this site until I looked into your contest which a friend told me about. . .I love so many of your rugs, but I think 'tonal vision' in blue is one of my favorites! Now, back to shopping your site! I love the Shirt Stripe (in the lounge stipe color). What a great giveaway! I like the Martha Steward Velvet Twist. Thank you for sponsoring this giveaway. I have admired these rugs for a while. The Azul La Fonda Del Sol is a work of art. Generous give-a-way! is a real day brightener. I like so many of the styles! I think my favorite is "Organic Overlay" in Spice. I love the colors and the simple plant print. I love the verde I think it would match my entry way, but with all of them the colors are to spot on I think they could work anywhere! such beautiful craftsmanship. I can see my dogs flopping on them after a long day of laying around. thanks for the contest. I love the stampede in black and white! These are the neatest tiles that I have seen in awhile. We are looking for a rug for the den and this is very affordable and AWESOME! My favorite pattern is the Twiggy! I have been day dreaming of FLOR in my house for some time. Thanks! Tufted Frond in Laurel is my very favorite from Flor. It is lovely. I love Amazing Lace in Brown, so retro and lovely. Thanks for the giveaway! I like Martha Stewart's Needlepoint Stripe in Laurel. I really love the Crazy Daisy Amazing Lace. I love Tonal Quartet from the Martha Stewart Collection. The style is very modern and gives the room a more spacious feeling with a hint of organization. I also love the Terra carpeting in both Furrows and Corncrib - they are very artistic and great for someone who loves to live in a modern art masterpiece!I have just recently heard of this site and let me say all your carpets and rugs are priced great. I will keep this website in mind when I move to my new apartment! So cool! I had never heard of this before. I really liked the Amazing Lace and the Striped Shirt patterns, but they were all great really! angkjohnson at gmail dot com. I like the Crazy Daisy and Tapete the best. I Love Daisy Lace in Brown. Awesome! I like the Blue tonal vision rugs. I like "snake" in the Housepet category. I love the green Disney pooh bear style!! I would love to have that for my baby's room. These look beautiful. I like the Organic Overlay style best. I love Morning Coffee in Dark Roast. Tapete is my favorite--but so many are so nice! I like the toy poodle. We have Flor in our basement/family room and we love it! My favorite is the Checkered Past. They are beautiful and I would love to win one! I'm in love with the Pequeno design...just like the description says, it's a "fiesta for your floor"! I love the If There Be Thorns. I love the Crazy Daisys- so fun! Fun things. I would love to have Tonal Vision to cover my horribly ugly apartment living room carpet. I love all the Botanicals, they would go great in my home! i love the terra style "FLOR"
My favorite Flor design is Botanical in Pale Blue. What a fabulpus giveaway.. would so love to win this! I love the Souk Chic in Multi..its gorgeous! I think these rugs are just so pretty. My favorite is the classic quilt rug in cream. I love the Jigs Up Design. So cute! The Terra pattern in Furrows is easily my favorite! Just like snowflakes, no two tiles are alike! Souk Chic is the rug that I like the most. Jigs Up in green looks interesting! Definitely...the Souk Chic in Blue! My favorite is She Loves Me Too in Petal Pink! Hard to pick a favorite, but any of the soft ones, such as Wide Wale, would be my pick. I'd like to mix up several different colors of Striped Poodle. I love the Terra with the black stripe, it would look fantastic in my entryway. My favorite Flor product is the classic quilt rung in mango. So cheery yet mellow! My granson would like the cars maniac. I like the Wide Wale textured one. It would go great in a family room or bedroom. My daughter picked her favorite: Petal Pink Crazy Daisy (of course). I like the Thick & Thin in Ocean/Sky. I'd like the cars maniac for my son. Tonal vision. Thank you for having this! I have two that I like. I think the "She Loves Me" would really add pizazz to a room. I also have a little boy (4) who is a Pixar Cars fanatic. I love the Fonda del Sol. And the Organic Overlay in Spice would be gotgeous in the hall. I like the short shag in Acorn the best. I love the classic quilt in blue. If There Be Thorns in Plum is my fave! Great rugs, love the tile idea. They're ALL my favorite style. FLOR is gorgeous AND eco-friendly. What's not to love?